Merely developing your site will not guarantee to help your business prosper in the right direction. You need to carry out the optimization of your site as it helps in determining the success rate of your site. In fact, search engine optimization (SEO) is regarded as the integral part of any site marketing and promotion strategy. It is divided in two ways, one is on page SEO and the other is off page optimization strategy. The on page SEO has a big role in optimization efforts as it is related with a number of guidelines which comes straight from the popular search engines including, Google, Yahoo and Bing. The reason why on page optimization has such a big role is the fact that it often employs the ethical white hat SEO techniques, which makes this method a favorite one in perspective of the search engines. The webmasters and site owners are seen employing the on page SEO strategies and are able to yield far better results in terms of traffic over their sites. 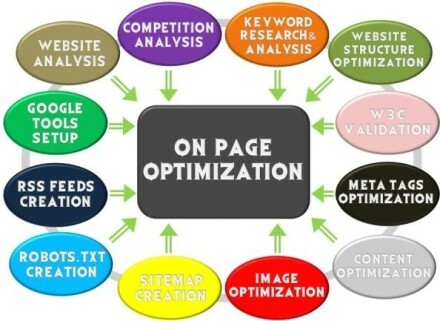 Now, let’s check how On-page optimization strategies can help to promote your site. Each and every element found over your site must be optimized so that you get the best results. For example, on your site, you could be having images and videos, even these are supposed to be optimized. This could be done by tagging with appropriate keywords as it will help the search engine bots to crawl inside your images or videos, which will help in giving better ranks by the search engines. Hence in this way, people searching out for particular keyword for which your images or videos are tagged, they are more likely to reach, which means you get higher traffic to your site. Unlike the videos and images, tagging could be also carried out for the text content and hyperlinks of your site. If you look at the on page SEO, it helps in optimizing each and every element of your site thus giving you better results over search engines. Every element of your site plays their part to call traffic via search engine when people over Yahoo or Google to search anything relevant to your niche. So when you are indexed higher you are more likely to get visitors at your site. Another way on page optimization helps any site is that it helps in earning revenue for your site or business. Any site, which is optimized using the on page method are more likely to bring better traffic. If you are able to optimize your site properly it will certainly rank better over the search engines when someone searches out a keyword or keyphrase relevant to your site over Google or Yahoo. More traffic just means more revenues generated for your business. The options found in on page SEO helps in generating a good amount of income in the long run. Apart from getting good traffic and revenue, your site could get several other benefits through on page SEO. As you know it employs only white hat SEO strategies, hence you are bound to develop or reshape a credible website, which would be good in terms of simple and quick navigation. You will therefore be seen rearranging your site setup by catering suitable information pertaining to your business and several other solutions. Furthermore, you would certainly like to ensure that the real course plotting of your website is not very hard so that you end up getting a smooth and sleek kind of interface within the different web pages of your website. With the help of on page optimization strategy, you could do wonders for your site in terms of search engine marketing as well. This could be called as an addition of quality in your content. This strategy helps you in reviewing your site content so that you could add values in it. Hence your site is bound to get refreshing content, which plays a key role in attracting both the search engines and readers to your website. The search engine robots are able to figure out your content effectively, hence boosting the rankings of your site at different search engines like Google, Yahoo and Bing. Apart from gaining the benefits discussed above, on page SEO strategy happens to be very cost effective, making it very easy to implement.